This experiment introduces the use of digital multimeters for voltage measurement. 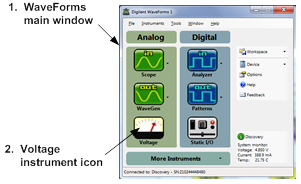 Digital multimeters, or DMMs, perform a variety of functions. When measuring voltage, the DMM is operating as a voltmeter. More information relative to DMMs and their use in voltage measurements are provided in the links to the right. 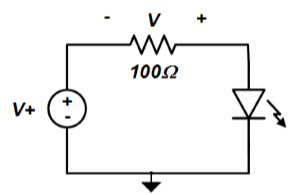 Voltages in a circuit are a difference in electrical potential energy between two different points in the circuit. DMMs generally have two terminals, or leads. When the DMM is operating as a voltmeter and its leads are connected to two different points in a circuit, the DMM will display the voltage difference between the two points. Be able to use the voltage instrument on the Analog Discovery™ to apply ±5V relative to the Analog Discovery's ground. 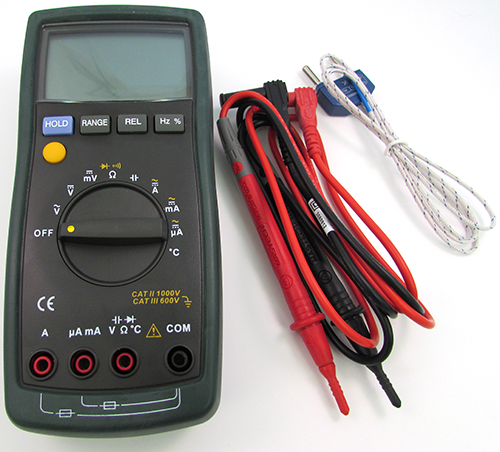 Be able to use a digital multimeter to measure constant voltage. Parts A and B of this project are also done in the Voltmeter Instrument project. 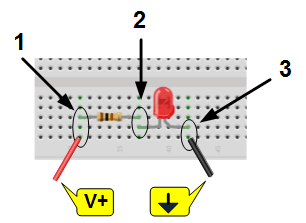 If you've already completed that project and your circuit is still intact, simply disconnect the Analog Discovery voltmeter connections, add the DMM connections (as shown in Parts B and C of Step 1 in this exercise), and read the voltage difference using the DMM. Use V+ to apply 5V across the LED to light it up. To measure the voltage V, connect the V-Ω terminal of your DMM to the diode's anode and the COM terminal to the diode's cathode. 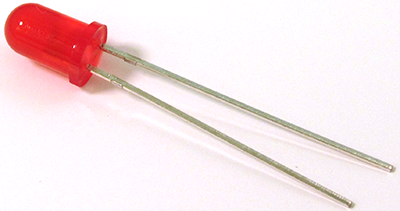 Connect ground ( , the black wire) to the cathode of the LED. 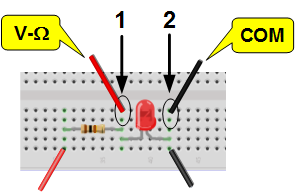 Connect the V-Ω terminal of the DMM to the diode's anode. Connect the COM terminal of the DMM to the diode's cathode. Turn the function selection knob on the front of the DMM to the position. Click on the Voltage instrument icon to open the Power Supplies window. 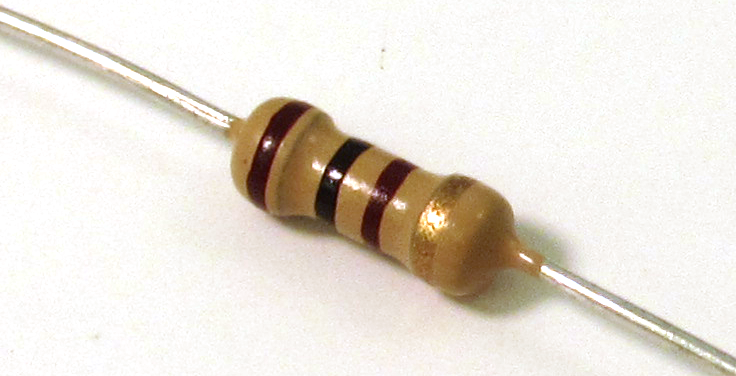 The LED should light up and the DMM should display the voltage difference across the diode. Try reversing the polarity on your voltage measurement (just interchange the V-Ω and COM terminals). This should only change the sign for the displayed number. Reverse the leads of the DMM and verify that the sign (but not the value) of the displayed voltage changes.